Now, it has to be said that I have a bit of a scented candle obsession. I love how cosy a glowing candle makes me feel on a dark night and put a glorious scent into the bargain and I am in love! 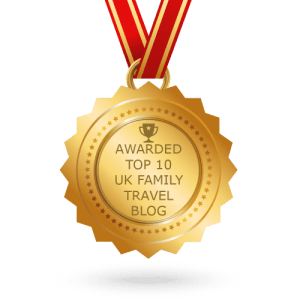 Here is a round up of some of my favourites at the moment! Yankee Candle invites you to imagine and discover the most wonderful time of the year with its Holiday Sparkle festive collection. Snuggle up to loved ones, relax by the tree and become immersed in this enchanted season with an array of beautiful and exciting candles. 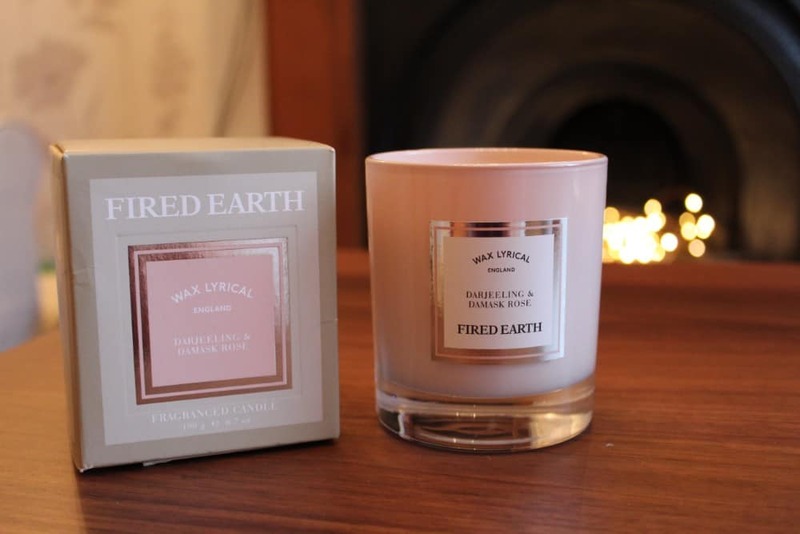 A shimmering fragrance that gives sandalwood a sparkle with sugarplum and ginger. 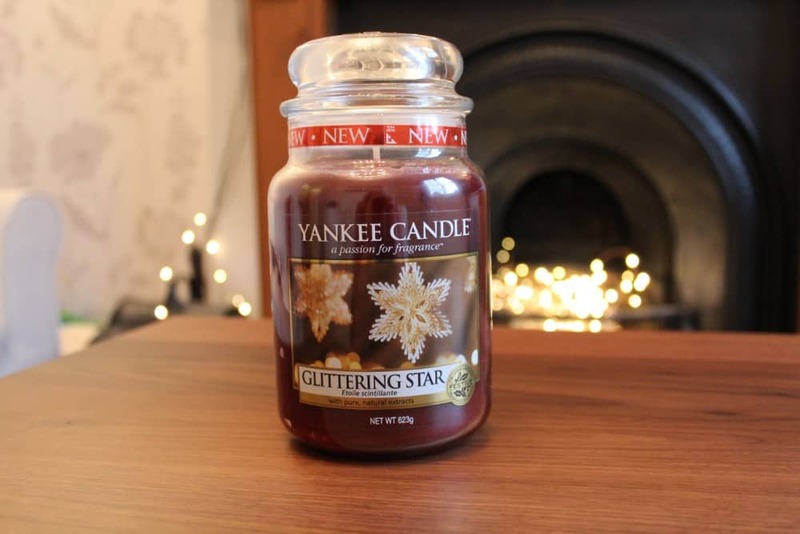 A lovely Christmassy fragrance from Yankee Candle. When it comes to decorating your home, it’s all about making it your own. Yankee Candle’s Elevation collection will add a modern and elegant touch to any home, with a square glass silhouette and a brushed metal platform lid that doubles as a candle platform. This new collection features 12 indulgent every day fragrances and four Christmas scents. This one is Sweet Frosting: A delectable rendition of the classic-fresh baked to perfection – creamy vanilla and an artful touch of spice. Darjeeling and Damask Rose – A floral chypre accord blending notes of oud, rose, geranium, jasmin, clove and praline. The rich, velvety base of cedarwood, sandal, vetiver, amber, musk, vanilla and patchouli is lifted by a hint of raspberry. 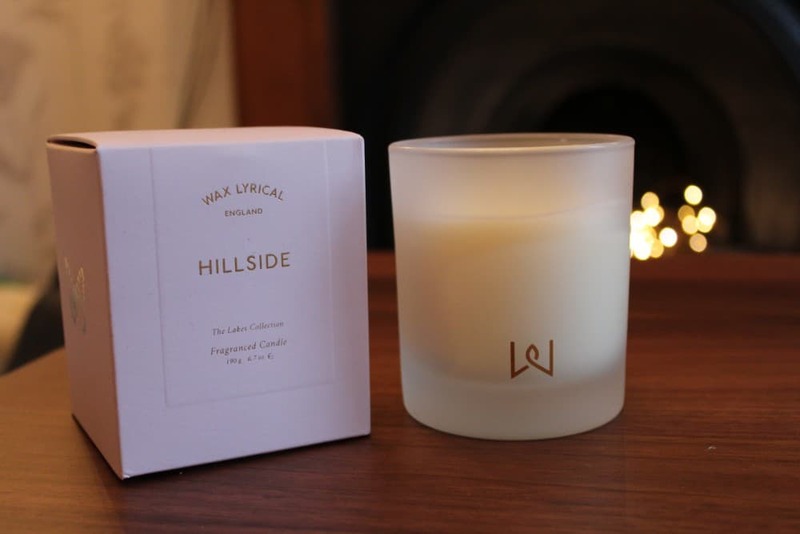 Lakes Collection Hillside Candle – Inspired by our peaceful hillsides and enchanting wildlife, this fresh, green fragrance opens with floral notes of geranium and freshly cut stems. A fragrance reminiscent of walks in the fresh morning sun, accompanied by the butterflies and the bees. You can buy the same scent as a diffuser here. Grapefruit & Seville Orange Luxury Scented Soy Wax candle is a wonderfully zesty blend of tart grapefruit softened with the citrus tang of juicy oranges. 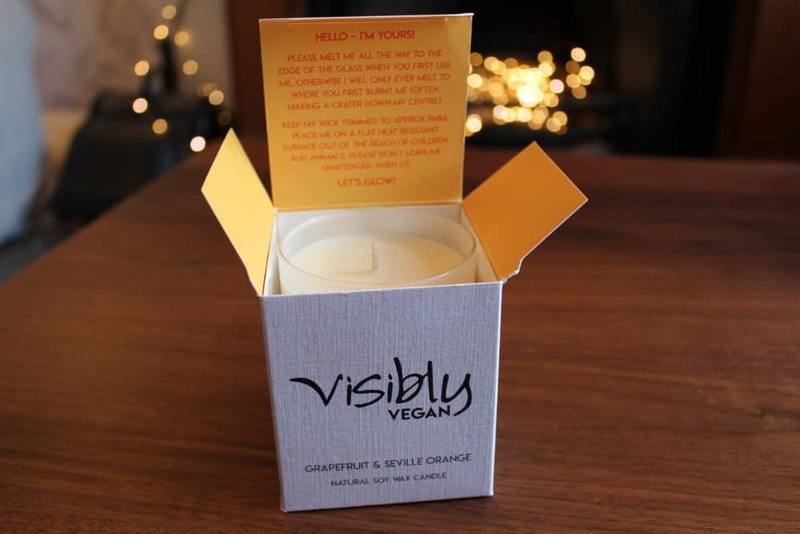 Visibly Vegan have only recently launched, after a long journey to ensure that every single component of their product and packaging were 100% vegan. 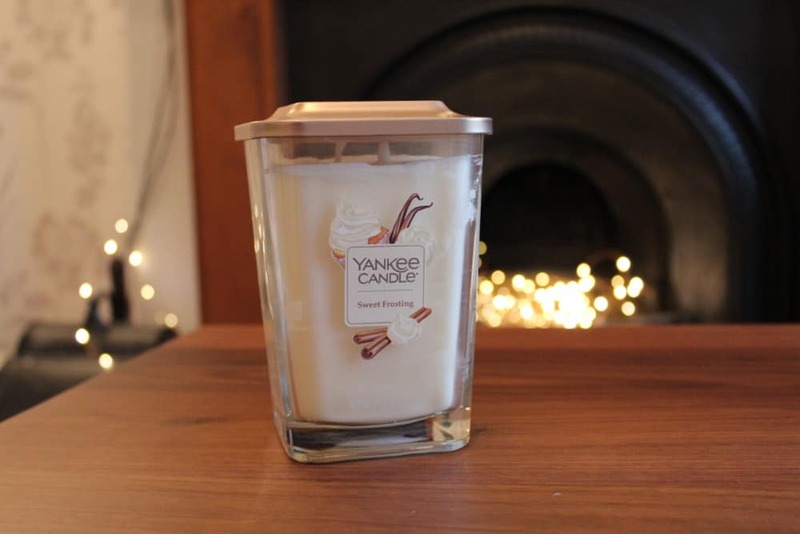 They are also determined to avoid any plastic outer packaging which seems to be standard with so many candles that are ordered online. The Grapefruit & Seville Orange candle is beautifully scented and a favourite of my husband’s! I too am a little obsessed with scented candles! I’m going to try the vegan ones – a treat from me to me!